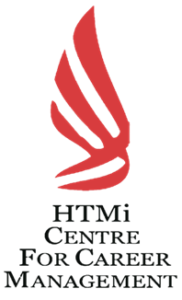 MyHTMi – The Social, Business and News Network of all HTMi Alumni Worldwide – Welcome to this website for all HTMi Alumni in our global community. We have designed this website to provide a “hub” bringing together all Digital and Social Media platforms in one place to allow you to: join our Business Network on Linkedin, contact other alumni at work, find jobs and advance your career; join our Social Network on Facebook to get the latest news from our Facebook Page and connect with everyone at HTMi in our Facebook Group; and join the News Netowrk to get the latest newsfeeds from the digital HTMi Webnetwork. Do you still remember the time when you were a student in Sörenberg? University memories are, perhaps, of the most unforgettable ones. Although many years have passed, we are still thinking about you from time to time and would like to invite you to reconnect with us. As our alumni are well spread around the globe, why don’t we make positive use of our alumni network? Maybe it takes only one old friend of yours to push you forward on your career ladder or we can also support you even though you are no longer in the school. Our lifelong commitment is real!